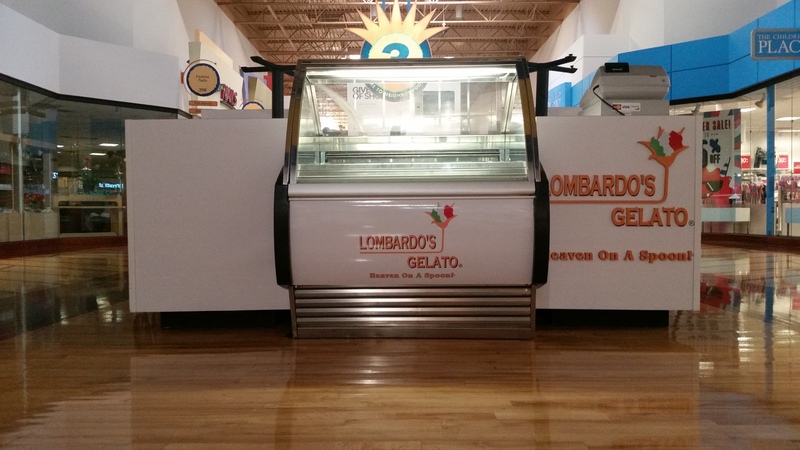 Who Benefits from Updated Retail Signage? In a word: everyone! 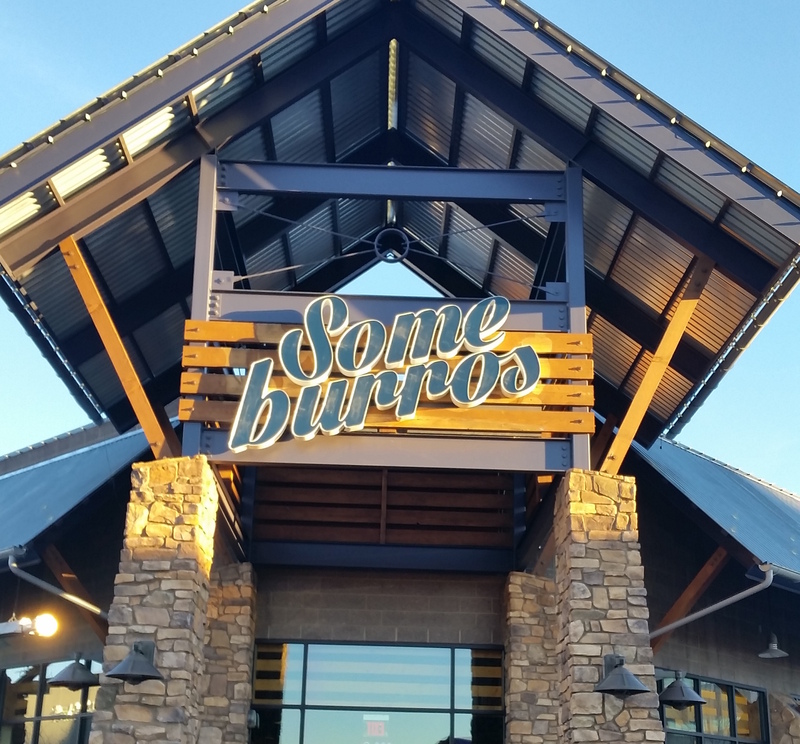 Whether you run a taco shop, a classy boutique, a chic boulangerie or a grocery store with great bargains, retail signage is a necessity. How do you welcome your customers? Shoppers like to be able to see the store name of their target venue clearly displayed. There are channel letter signs and lightbox markers to achieve this goal. 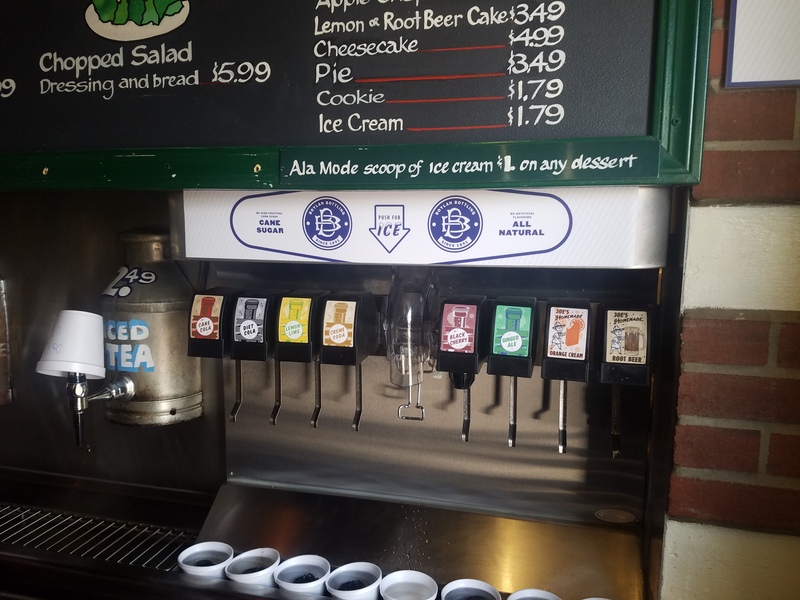 When they feature your customized colors and display your logo, they are an asset in branding as much as with wayfinding. 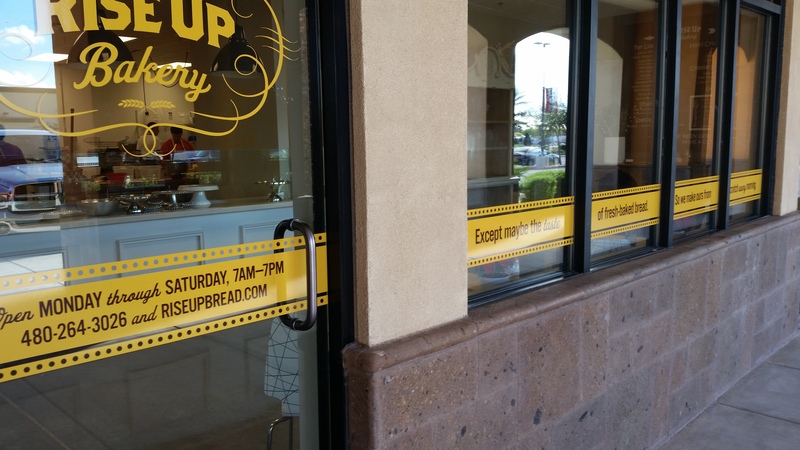 Reel customers in with your retail signs! Yet do not forget the motorists! 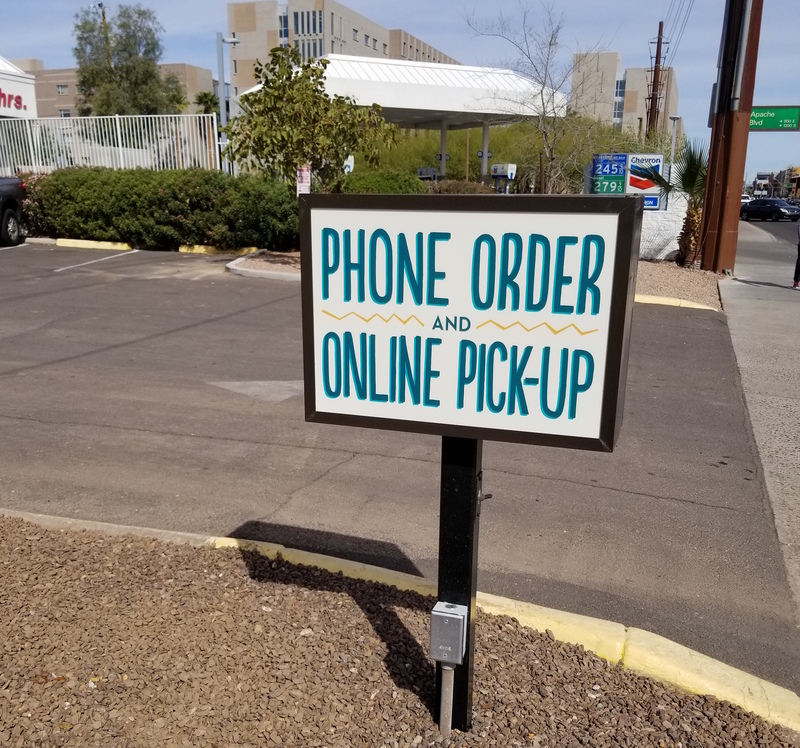 A well-placed monument sign helps drivers to notice the entrance to your parking lot well in advance of the turn lane. By being able to change lanes safely, they are getting off to a great shopping experience. For the sidewalk, there are sandwich board signs that outline today’s special deals and bargains. 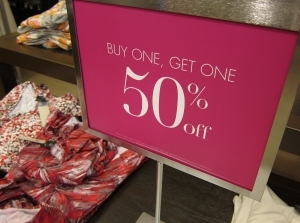 If you have a sale on a particular item or want to point out your buy-one-get-one-half-off deal on certain products, this is a great way to draw attention to the sale. 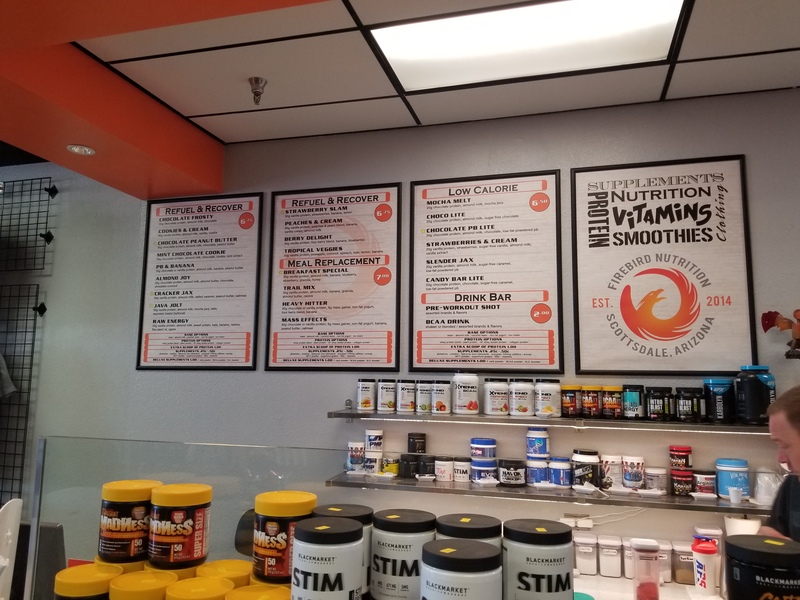 Other signage options here include flags and outdoor banners that display your store’s name and logo as well as any message that you wish your customers to see. The inside of your store should make it easy for the shopper to navigate aisles and find deals. Advertised products should be a snap to find. That said, there should also be some reminders of products that might pair well with the items the shopper is buying. Examples of available signage options abound. 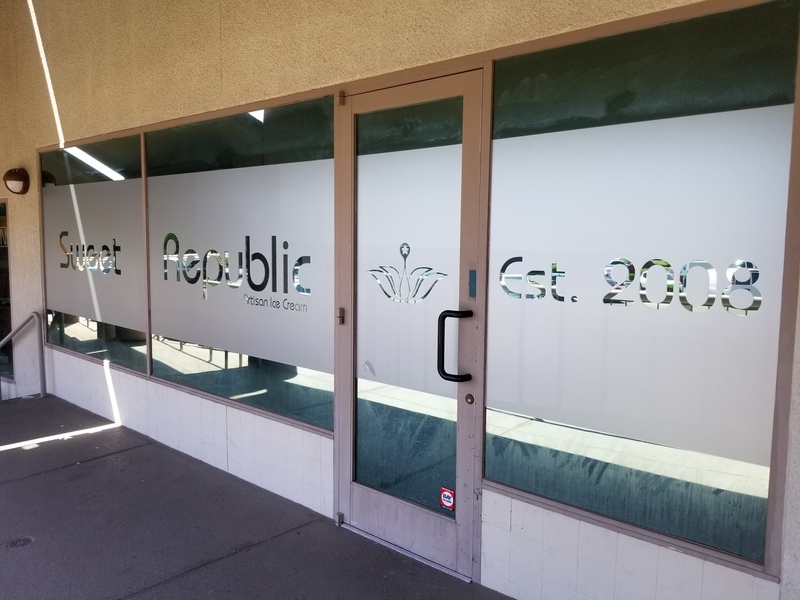 Window graphics. Talk about the great deals inside the store and add realistic graphics about the products and services you offer. 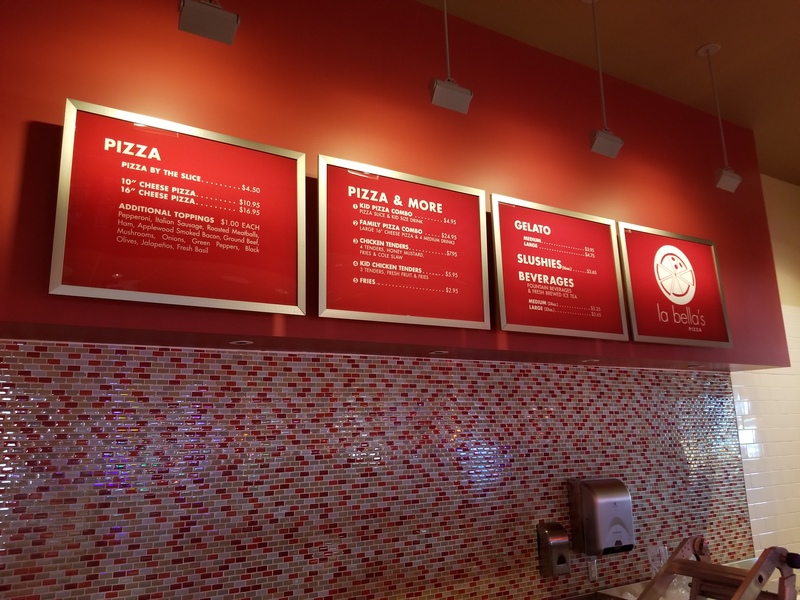 Menu Boards. The menu is the number one attraction for any restaurant. 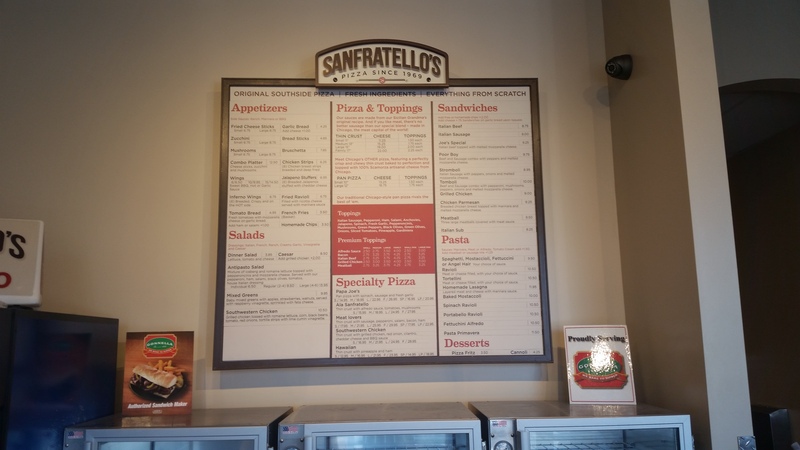 It is hugely important that the menu is readable, attractive, and clear. We offer snap frame menus that are good looking and easy to update as prices change. Murals. 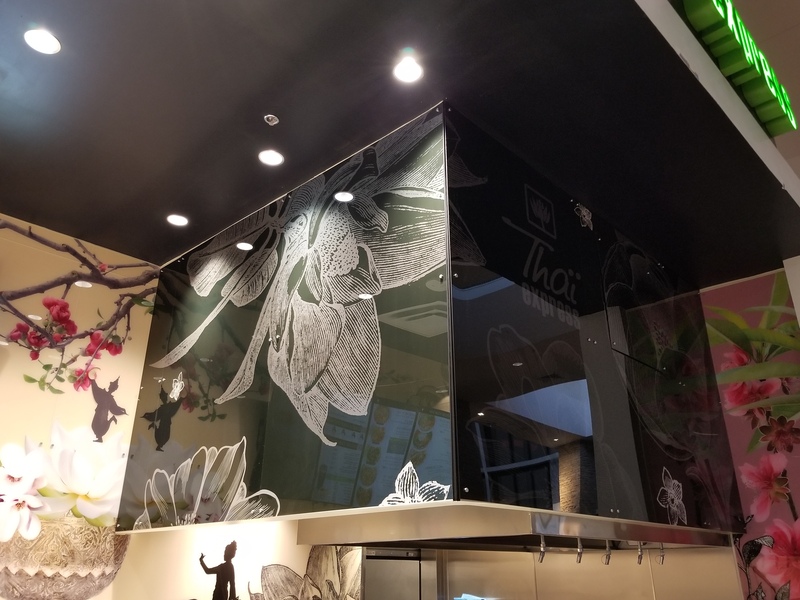 Murals communicate brand and work wonders for a restaurant's or retail store's interior. Hanging banners and posters. 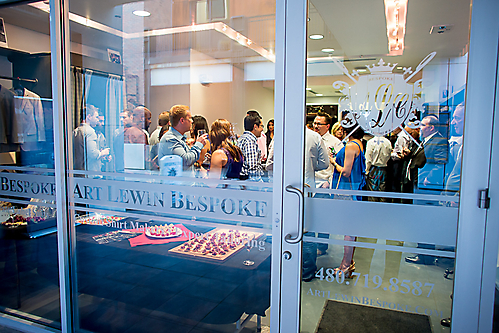 Capitalize on the overhead space by using the area for marketing. Wayfinding signs. Aisle names, bathroom placards, and other similar signs help customers find their way. 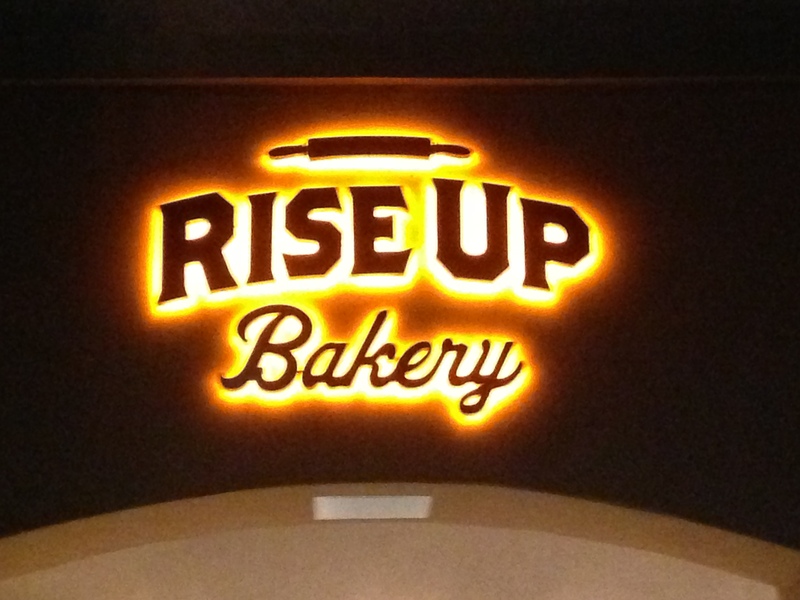 We are happy to produce signage for any business -- retail and restaurants are no exception. 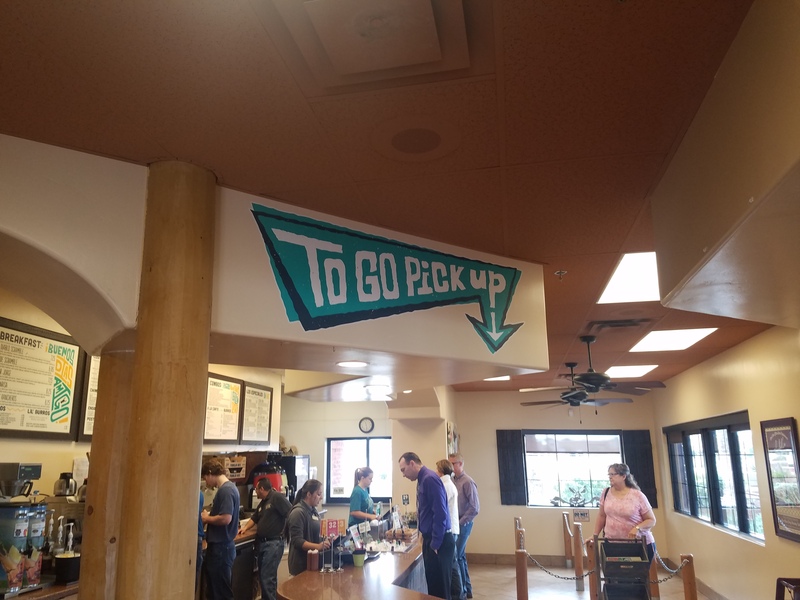 Often times, restaurants and retailers need signs consistently to keep up with rolling sales and the wear and tear that comes with operating a crowded store. 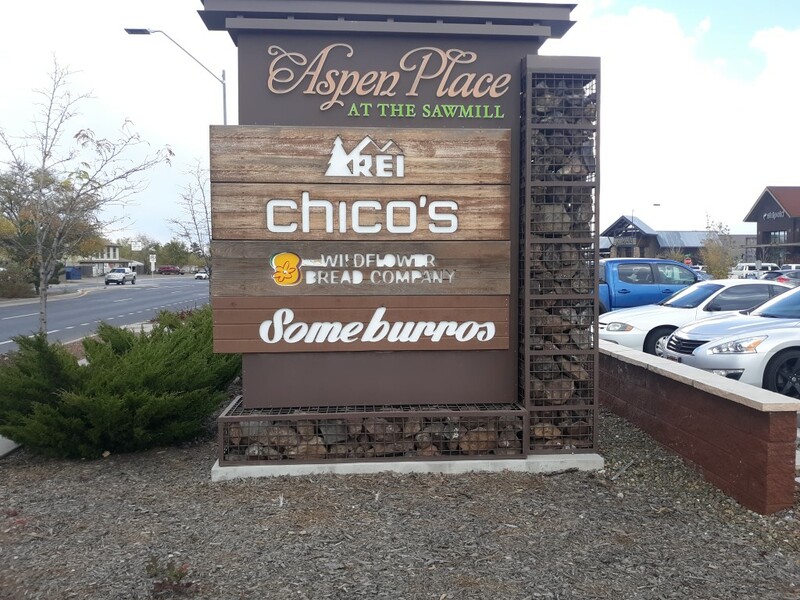 Considering this fact, it is important for restaurants and retailers to have a relationship with a reliable sign company who they can trust with their brand. 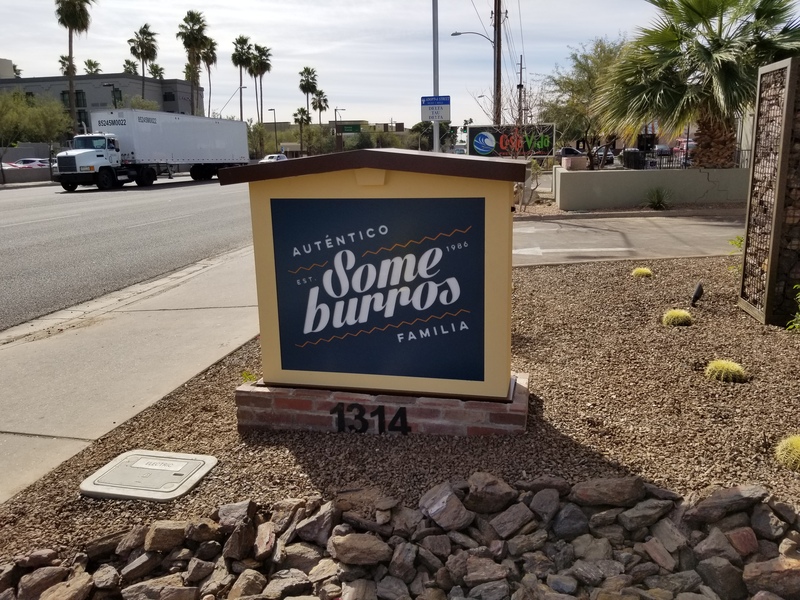 We work with a number of restaurants on a consistent basis, including Someburros, Long Wongs, and Firebird Nutrition. 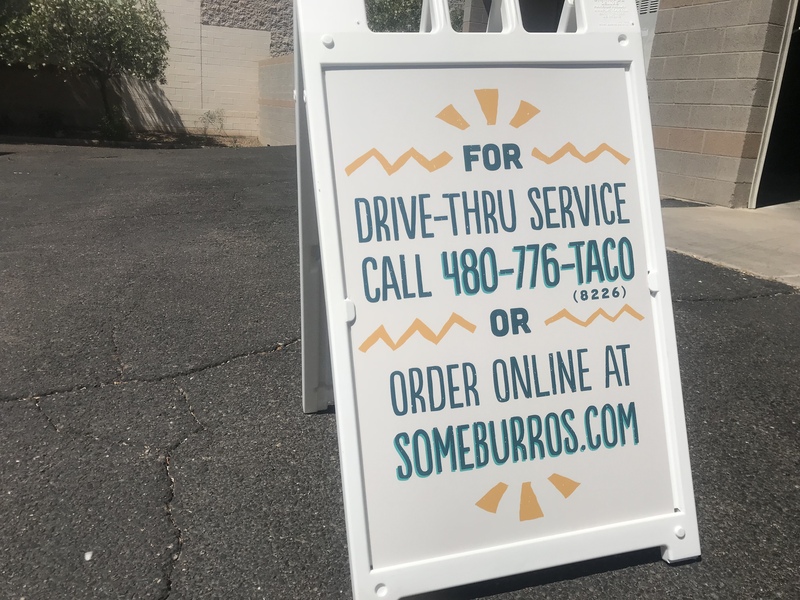 These establishments know that whenever they have a price change, special sale, or bad driver run over their drive-through sign, they can give us a call for a quick repair, update, or quote on new signage. We pride ourselves on our relationships and we are always open to forming new ones. 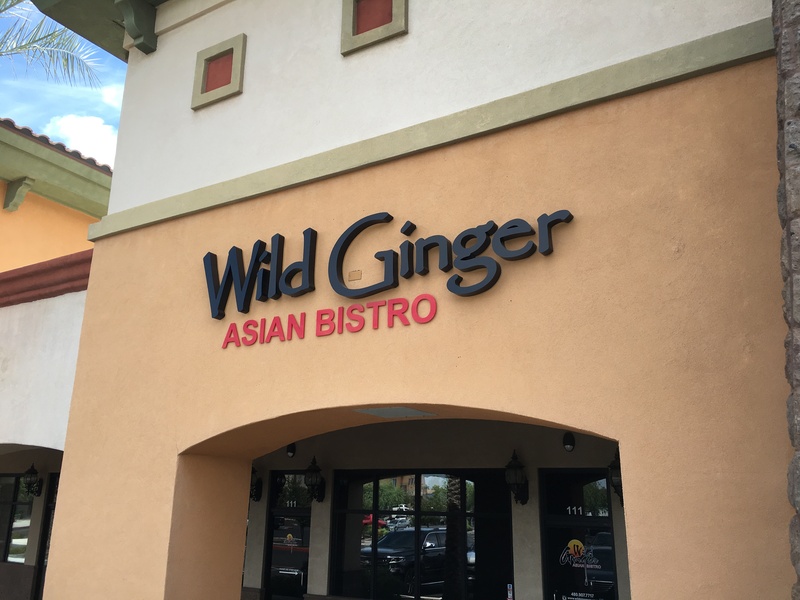 If you own a restaurant or retail store, we can solve all your signage problems. 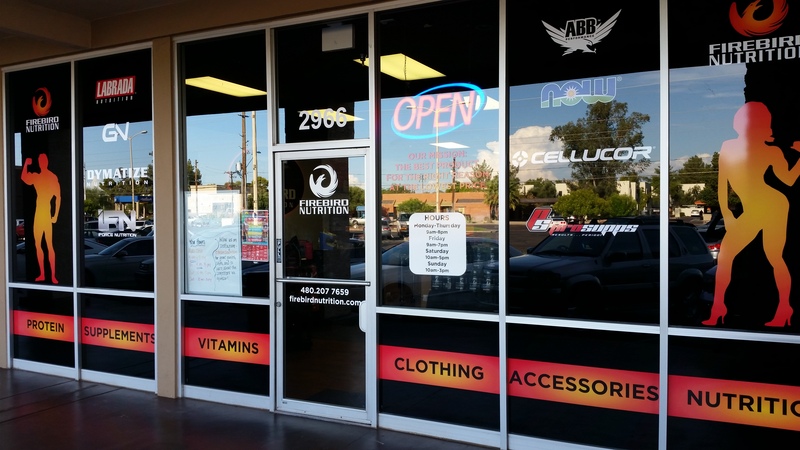 The retail store sign experts at Spotlight Signs and Imaging Solutions proudly serve store owners in Phoenix, Tempe, Gilbert, Mesa and Chandler. 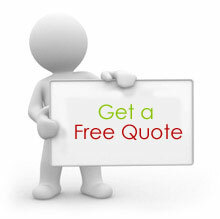 Contact us today to get started with your order.